Why did dogs become wolves? Climate change. Changing climatic conditions caused dogs to evolve into pursuit predators. 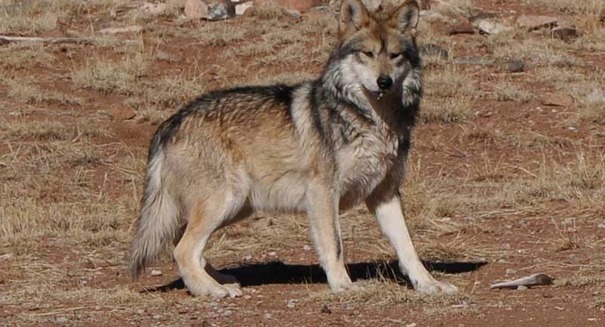 Evidence is showing that canines in North America were forced to change their ways of pursuing prey for food because of climate change, according to a report in discovery.com. The ancestors of the wolves we now know were originally surprise predators, waiting in the dense forests until an unsuspecting meal came along. As the North American continent became cooler and dryer, the forests were replaced by open ranges and grasslands, making the stealth approach much more difficult. Dogs evolved to become faster runners and were able to run down their prey, like modern-day foxes and coyotes. The study, published in the journal Nature Communications, helps to reinforce previous notions that dogs originated in North America before spreading to Africa and Eurasia about 7 million years ago, and to South America about 2 million years ago. The research team say they studied the elbows 32 different species of dogs from a period of about 40 million years ago to 2 million years ago. They noted that older species had elbows that could swivel, making it easier to grasp their prey. Eventually, the canine elbows evolved to become more rigid with the palms always facing down, making it more efficient in endurance running. The team also realized the canine teeth had become more durable during the same period. They suspect this is because the canine’s prey was now being rolled around on the grit of the savannah, instead of a leafy forest floor. The hunters eventually became a predator that would stalk their prey for long periods, following large animals until the time became right to strike, similar to today’s wolves in high latitudes. The scientists add that although it seems logical, the influence that climate change has on predators and prey had not been demonstrated in such a way before. They are hoping to use the information to try to predict what changes will come about from the current climate change conditions we are now experiencing.